These small fish form an important link in the Chesapeake Bay food web, which is why fisheries managers have placed a cap on the amount of menhaden that can be harvested from the Bay. Atlantic menhaden filter and consume plankton and function as prey for a number of notable Chesapeake Bay predators. They form large schools near the water’s surface in nearshore ocean waters and estuaries. In addition to serving an important ecological role, menhaden provide commercial value through their use as bait, fishmeal and fish oil. Atlantic menhaden are critical to the Chesapeake Bay ecosystem, forming an important link in the food chain. Menhaden also support one of the largest commercial fisheries on the Atlantic coast. 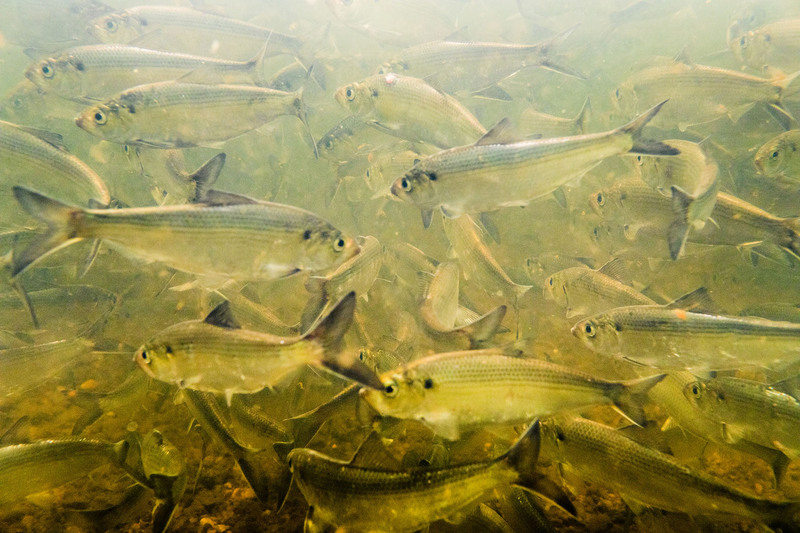 Menhaden are filter feeders, capable of filtering up to seven gallons of water each minute. Along with other small fish and invertebrates, menhaden are known as “forage species,” meaning that they function as a critical source of food for larger fish species that support commercial and recreational fisheries, including bluefish, weakfish and striped bass. Marine mammals and fish-eating birds—including ospreys, cormorants and bald eagles—also rely on menhaden as well as other important forage species as a source of food. There are two types of fisheries for menhaden. The reduction industry, which harvests the fish to produce fishmeal and fish oil, began in New England in the 1800s. The bait fishery has been growing since 1985 and now makes up about one quarter of the menhaden harvested along the Atlantic coast. How are menhaden harvested in the Bay? Small airplanes, referred to as “Spotter Planes” are used to find the menhaden schools. Boats travel in a circle around the menhaden in order to trap the fish. The net is “pursed,” or closed, and the fish are vacuumed out of the water and into refrigerated containers. This method of harvesting is known as purse seining, and is the primary method for harvesting menhaden for the reduction fishery. Menhaden are also caught with pound nets, which are strung between stakes in the water. 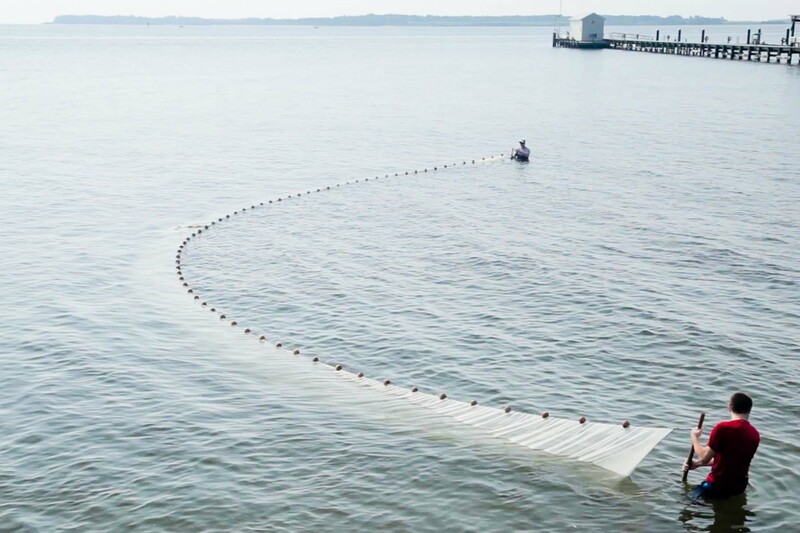 Small purse seines, which are fish traps similar to pound nets, and gill nets are also used to harvest menhaden as bait along the coast. Most menhaden harvests come from the Virginia portion of the Chesapeake Bay, but they are caught in Maryland as well. In 2016, Virginia's menhaden landings were 323,146,229 pounds (worth over $25 million) and Maryland's were 6,098,229 pounds (worth just under $1 million).The rest are caught in coastal waters from New England to North Carolina. According to the Atlantic States Marine Fisheries Commission (ASMFC), total commercial landings in 2016 were 180,500 metric tons. About 76 percent were harvested by the reduction fishery, to be used as fishmeal and fish oil, and 24 percent were harvested to use as bait. Is the menhaden population healthy? According to the ASMFC which manages the Atlantic menhaden population, menhaden are neither overfished nor experiencing overfishing. 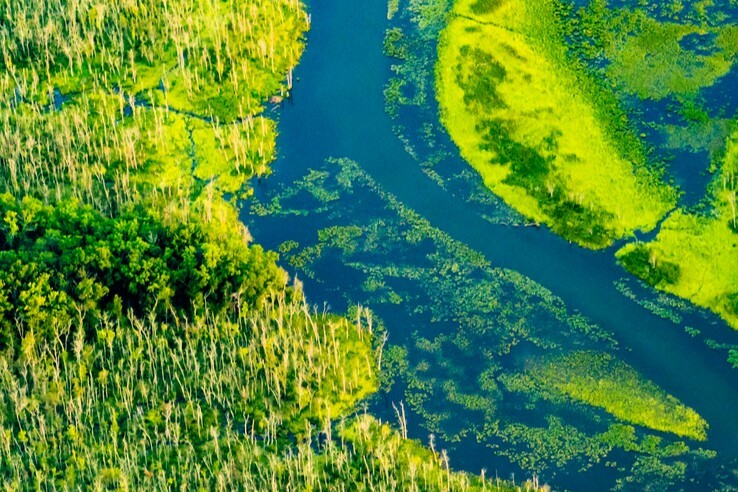 How would a decline in menhaden affect the Chesapeake Bay? A decline in menhaden populations could impact the fish’s ecological functions as a filter feeder and a food source. Low menhaden abundance, for instance, could shrink the food supply available for bluefish, weakfish, osprey, striped bass and other predators such as whales and dolphins. 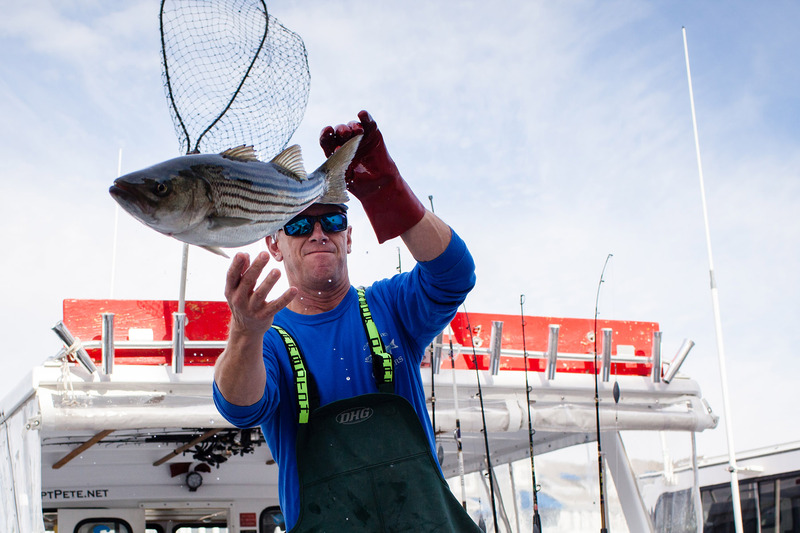 If the decline were severe enough, a decrease in menhaden could harm fishermen and fishing-related businesses. How are menhaden being managed? Atlantic menhaden are managed at the coast-wide level by states that comprise the ASMFC, a multi-state body that coordinates the conservation and management of 27 nearshore fish species. The ASMFC regularly assesses the status of the stock to determine if the stock is overfished or if overfishing is occurring. This organization develops compliance requirements that the coastal states must implement regarding the number of fish that are caught each year. Coastal states are required to monitor abundance and track changes in eggs and juveniles produced. Representatives from the Maryland Department of Natural Resources, the Virginia Marine Resources Commission and the Potomac River Fisheries Commission are part of the ASMFC. To protect menhaden and other fish species, practice proper catch-and-release fishing techniques to avoid harming fish. Atlantic menhaden form an important link in the food web by serving as a food source for larger fish like bluefish and striped bass. Menhaden also support one of the oldest commercial fisheries on the Atlantic coast. An organism that feeds by straining plankton and other food particles from water that is pumped through its gills or mouth. For example, oysters and menhaden are filter feeders. 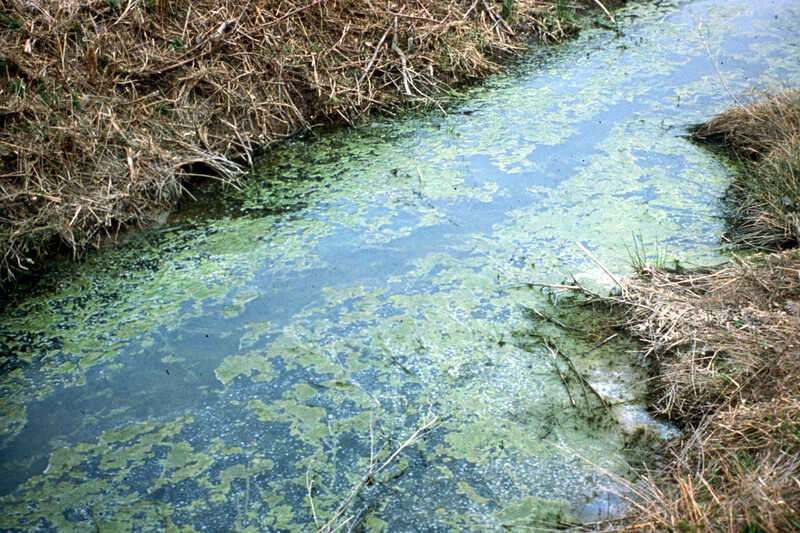 A species whose survival affects other organisms in an ecosystem. 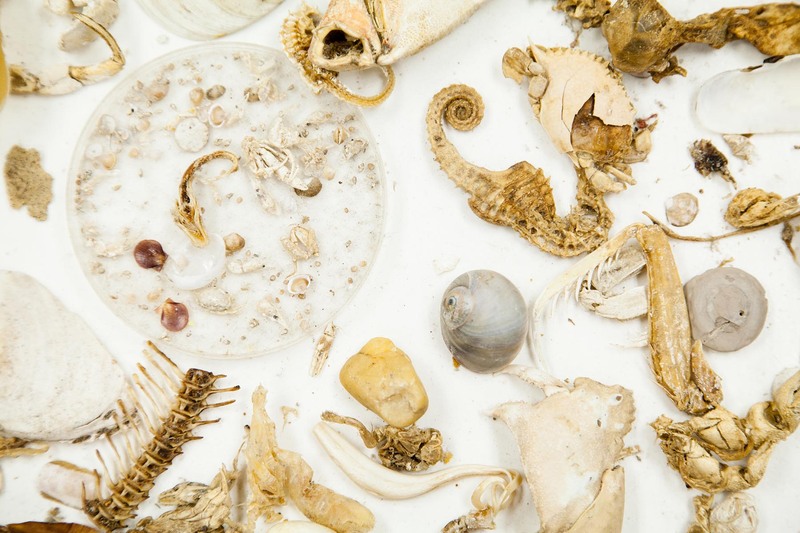 If a keystone species were removed from an ecosystem, the ecosystem would drastically change. The preying of one animal on others. The addition of new individuals to a population by reproduction, commonly measured as the proportion of young in the population just before the breeding season.